The Milbrandt family has grown grapes in eastern Washington state since 1997. This year saw the first release of its own wines; among the new bottlings is this bright, citrusy Pinot Gris. Since it was founded in 2002, A to Z Wineworks has become one of Oregon’s top names for affordable, high-quality varietal wines. Its focused Pinot Gris, full of citrus and kiwi accents, shows why. Oregon producer Bethel Heights Vineyard is primarily known for top-flight Pinot Noir. 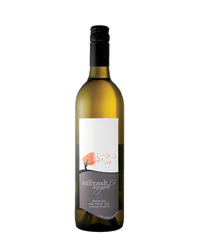 But winemaker Terry Casteel also makes superb Pinot Gris: a light, graceful white wine with a creamy finish. With its citrus-rind aromas and full-bodied green-apple flavors, Kim Crawford’s ’07 bottling is a good example of how well-suited New Zealand’s Marlborough region is to growing Pinot Gris. 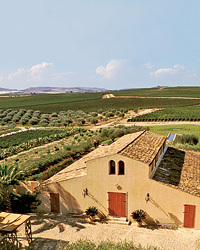 A small percentage of the wine is fermented in barrels for additional richness. Chehalem winemaker Harry Peterson-Nedry makes his Oregon Pinot Gris “in a style as close to Alsace as possible,” he says. That is exemplified by the fine 2006 vintage, a full-bodied white with rich pear and peach fruit and a spicy finish. Australian producer Pewsey Vale is a leading source for terrific dry Rieslings. But its zesty, green apple–inflected Pinot Gris reveals that winemaker Louisa Rose is just as talented with other aromatic white varieties, too.